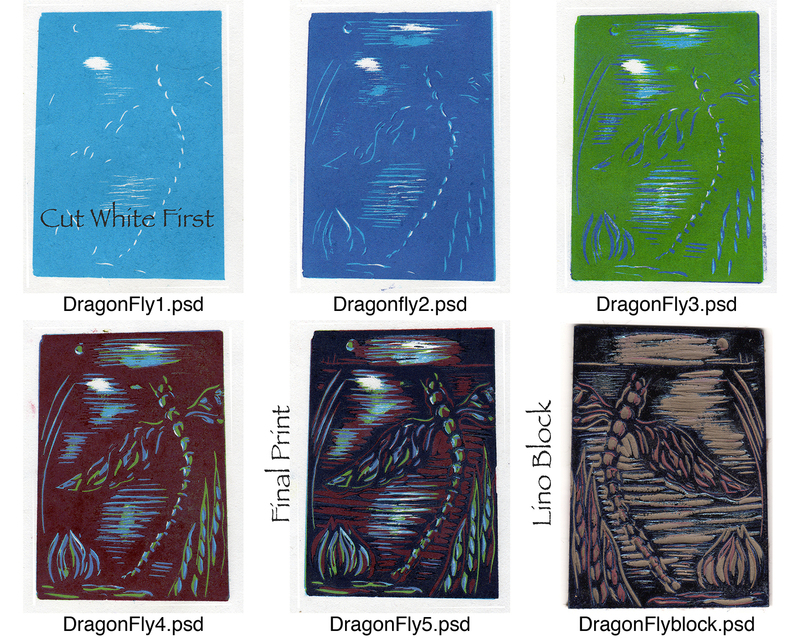 The Dragon Fly is a very straight forward print. It happens to be on a small piece of linoleum. The reductive process is the same on wood as well. I demonstrated this process to my Printmaking class using this image. Most of my prints are much more complex and involve multiple colors and stencils and numerous runs through the press. Because of both the size and complexity of the prints, my editions are fairly small, usually less than 20. Below is a scan from my notebook on the print “An Emergence” – as you can see, it is kind of a puzzle. It happens to be a woodcut.